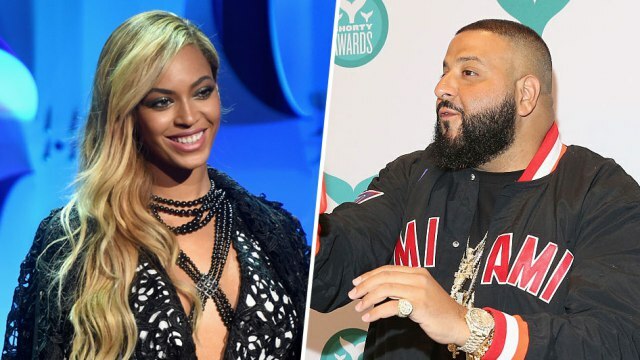 DJ Khaled Will Join Beyonce On Her 'Formation World Tour' - Ooooooo La La! DJ Khaled announced earlier today that he's going on tour with Beyonce! This is huge. Beyonce never has anyone open for her on tour. The only person usually on stage with Beyonce, aside from her dancers and her band, is her husband, Jay-Z. "I want to thank the incomparable icon Beyoncé for this tremendous opportunity of a lifetime," Khaled posted on his Instagram page. The 40-year-old record producer was on the Angie Martinez earlier today and said his prices have just gone up, ha. Khaled said after he received the phone call that he would join Bey on tour, he started lifting weights. Lol. Time for Khaled to get in Formation! Khaled will probably Snapchat most of the concert. Lol. He also revealed he has more big news to announce soon about a collaboration with Kim Kardashian. Beyonce's world tour kicks off in Miami on April 27. This weekend will be the premiere of Lemonade, an HBO event (peep the full 1 minute trailer below).